These Scents Will Help You Sleep Better, Promise! You just need a little jasmine here, and bergamot there. 1. Lavender. 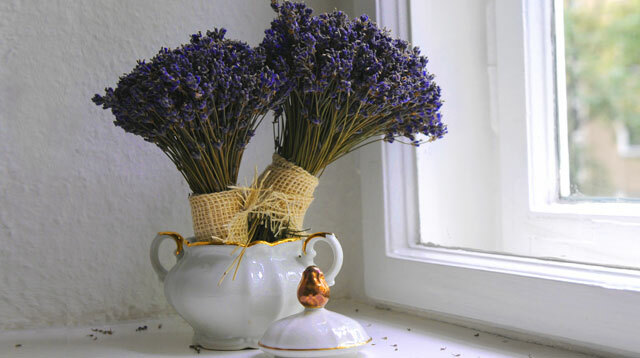 Combine lavender oil with aloe vera and water to create a homemade scent, perfect for your bedroom. Click here for the step-by-step guide! 2. Chamomile. It has a light scent that can create a relaxing spa-like atmosphere in your bedroom. Mix a few drops of chamomile with baking soda, to create a thick paste. Put it in a nice container that you can place on your side table. 3. Bergamot. If you love a fruity scent, then you must try spraying Bergamot on your pillow. It has a citrus scent that can refresh your mind and at the same time, keep your body relaxed. Try mixing rubbing alcohol and 20 drops of a Bergamot essential oil to create a body spray. 4. Jasmine. Jasmine flowers are popular for treating stress and depression. A few spritzes of this scent on your linen can help you enjoy a deeper sleep. Make your own pillow spray by mixing distilled water and 25 drops of jasmine essential oil then store it in spray bottles. For more scents to help you sleep better, check out realliving.com.ph!